Hello Mommy J! Kamusta ta? 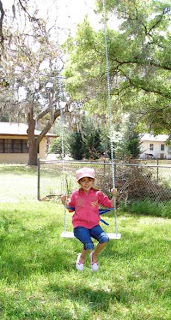 Your little one is just feeling the swing. If comfort creeps in, she will swing non-stop! wow! i'm sure when our little one gets used to it, that swing will be one of her favorites spot in your house.